Hi Sassy friends... welcome to a new week and a new challenge. Special thanks to all that joined us in last week's challenge. We've been checking out all of the entries over the last two challenges and will be announcing one special person who will join us for a four-week stint as a guest designer. We should have our results within the next 2-3 days. So, be on the lookout for our post to announce this exciting news. Lucky number one!! And that is....Peggy R! Congratulations to you, Peggy. Please contact Sassy Cheryl to arrange for your $5 gift certificate to her shop. Happy shopping and happy coloring to you! Hostess Sassy Jeni put together a great challenge last week and has another one in store for us this week as she continues her month of hostessing. This week our theme is tulle &/or ribbon. Here's the DT's interpretation. Grab your tulle or ribbon, or even both, and join us this week. 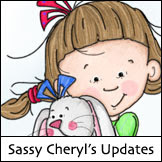 Just make sure you use an image from Sassy Cheryl's, post to your blog (or online gallery at PCP, SNR, SCS, etc), then link that post back here using Mr. Linky. It's that easy! See you then, sassy friends. Congrats Peggy R. Just drop me an email and I'll get your GC out to you right away! Ladies. These are amazing as always! Didn't know what Tulle was until I started looking at your cards in the group folder. Learn something new every day. . .huh?! Okay everyone. 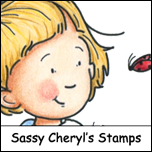 Grab you a Sassy Cheryl image and play along. This is going to be fun!!! Tulle, hmmm, soft, fluffy and economical. This will be a fun challenge! 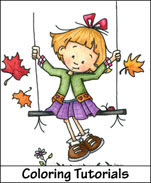 Sassy girls you have made some great cards for inspiration! Congratulations Peggy R on your win. I finally found a challenge for "My friend" card! The world of digi's has obsorbed me although I do take time to go for a walk before I take a sit in my studio. Such a fun challenge...never met a piece of ribbon I didn't love! Thanks for sharing all your beautiful creations. Design Team cards are wonderful! 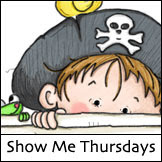 I have posted my challenge card on my blog - thanks for the fun, Cheryl. Fantastic cards ladies. Love this ribbon/Tulle challenge! Wonderful cards and fun challenge. Thanks. Thanks for the challenge, Jeni! I never think to use tulle and I have tons. Lovely DT samples, Ladies. I think I am sliding in under the wire, or maybe missed the challenge altogether, but had such fun with the snowman serving cocoa/coffee image that I made up a quick card and posted it anyway. Looking forward to the next challenge.